A decade ago I went with my sister to one of those scrapbooking parties where we each made a tile coaster. I still use mine in my office. I decided to make a couple more to put in the bedroom with my new canvas bird paintings. 4"x4" stones tiles - you can pick these up in the flooring department of a home improvement store. These are travertine in ivory color. Came in a box of 9 for around $6. A stamp - any kind you like that will fill the space. Permanent ink - I use archival because it's permanent and waterproof. The tiles I'm making today aren't going to be colored. Spray on clear acrylic sealer - I used Modpodge brand here, but Krylon works just as well and is usually less expensive. Just pay attention to the finish you are buying; this is matte. Felt furniture pads - You need four pads per coaster so make sure you buy enough for the number of coasters you'll be making. 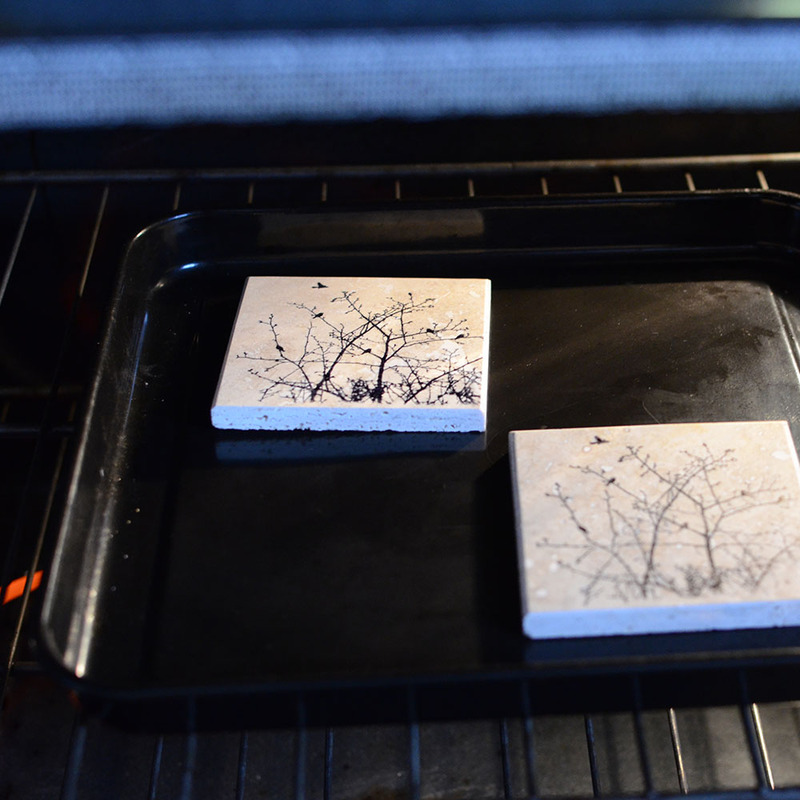 You can also use cork pads or backing. 1. Gather the supplies listed above. 2. Make sure your stamp is well-inked. I used paper to test the saturation first. 3. 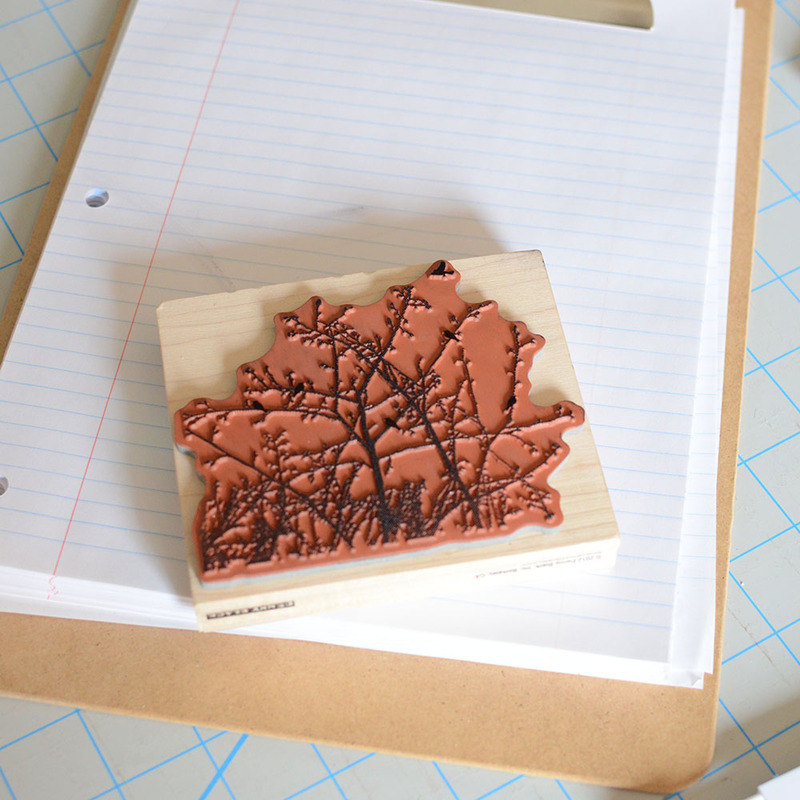 Carefully line up the coaster to your stamp and press hard. Keep the stamp still. I did this on my clipboard placed on the floor so I could apply strong pressure. 4. Place in cold oven on baking sheet. Turn oven to 300 degrees and bake for 30 minutes. 5. Spray the acrylic sealer. You should do this outside if you can (it was raining that day). I used a large sheet of white poster board to keep the spray from traveling. Use short bursts 12 inches from the surface. I applied 3 coats, waiting 15 minutes between each coat. 6. Apply felt pieces to the bottom. Let them dry overnight before use.